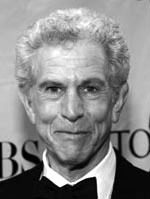 Tony Roberts made his Broadway debut in 1962. He was cast in many Woody Allen films. 03/21/1978 0802 The Golden Amulet A classic ghost tale from Japan about a samurai's son falling for a spirit. Great story on meeting Tony Roberts. Really cool. Tony Roberts, in my opinion, was an underrated actor in the series. He gave many wonderful performances. Tony Roberts appeared throughout the years of the show. DeKoven had the honor of being in the debut episode. Interestingly the never appeared in the same show. Roger DeKoven ROCKED "The breaking point". Always a class act, this guy can do it all. Convincingly played roles ranging from sensitive poets to cold blooded killers! Listening to him was never boring. Tony Roberts between 1974 and 1982: an iconic voice on the CBSRMT and the perfect, ultra-cool counterpart to Woody Allen's neurotic. Well done! Thank you! !